The index opened gap-up above 8870 and stayed in a narrow range for the better part of the day and saw huge buying interest in last hour to scale 8900 making a high of 8925 but closed just below at 8910.50, gain of 74.90 points. The broader market though was negative, with 728 advances to 812 declines. 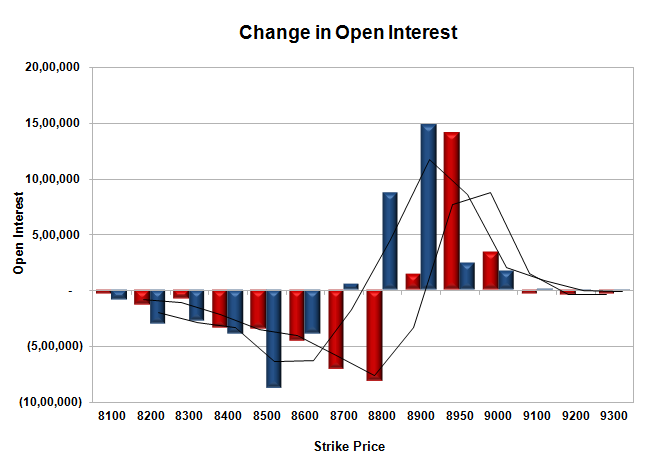 The range as per OI Table has boiled down to 8700-9000 till Expiry. 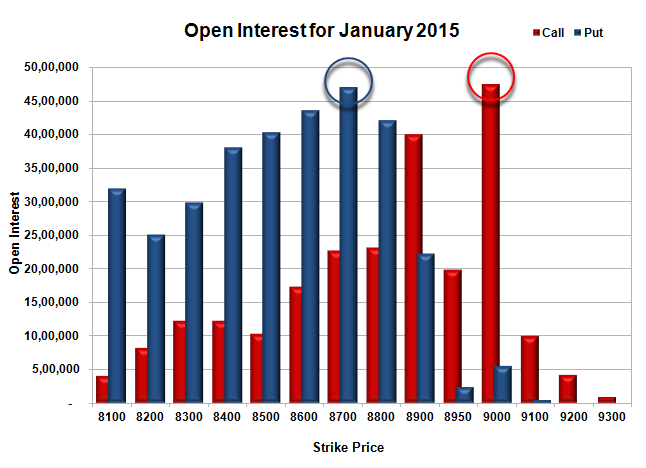 Call option 8900-9000 added huge 18.94 lacs OI with short covering seen at 8800 and lower strike prices. Put option 9000-8700 added huge 28.15 lacs OI with profit booking seen at 8600 and lower strike prices. Nifty Open Interest is at 1,60,79,900 down by 66,73,450, whereas Feb series added 87.57 lacs, with increase in price, most probably 100% roll-over with huge long build-up. Bank Nifty Open Interest is at 19,95,675 up by 1,00,750, whereas Feb series also added 4.83 lacs with increase in price, most probably huge long build-up in both series. FII’s bought huge 18.18 lacs Futures, which includes 82814 contracts long build-up and 10079 contracts short build-up, with increase in net OI by 92893 contracts (includes 438760 longs to 366025 shorts for the day) and the Average Price comes to 9408.41. FII’s Index future open contract as on date is 928038 Longs to 135031 Shorts, net long 793007 up by huge 72735 contracts. Initial and excellent support at 8800, with huge OI of 42.10 lacs and below that at 8700 with OI of 47.06 lacs. Initial resistance at 8950, with huge OI addition of 14.08 lacs for the day and above that at 9000 with OI of 47.44 lacs. 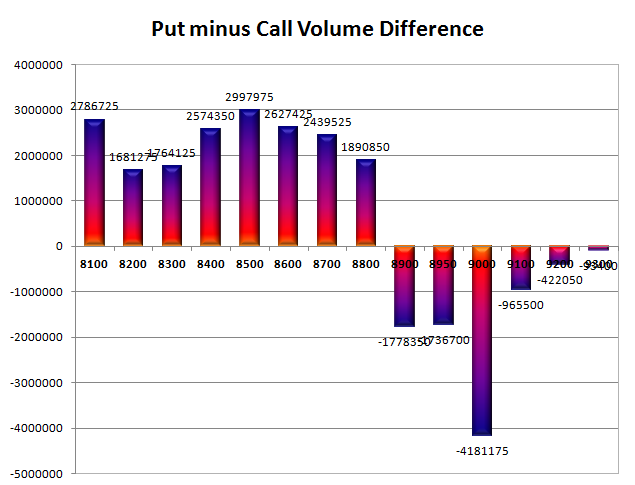 Day Range as per Option Table is 8821 - 8965 and as per VIX is 8826 - 8995 with 8887 as the Pivot.